The Quietened Bunker is an exploration of the abandoned and/or decommissioned Cold War installations which lie under the land and that would have acted as selectively populated refuges/control centres if the button was ever pushed; a study and reflection on these chimeric bulwarks and the faded but still present memory of associated Cold War dread, of which they are stalwart, mouldering symbols. 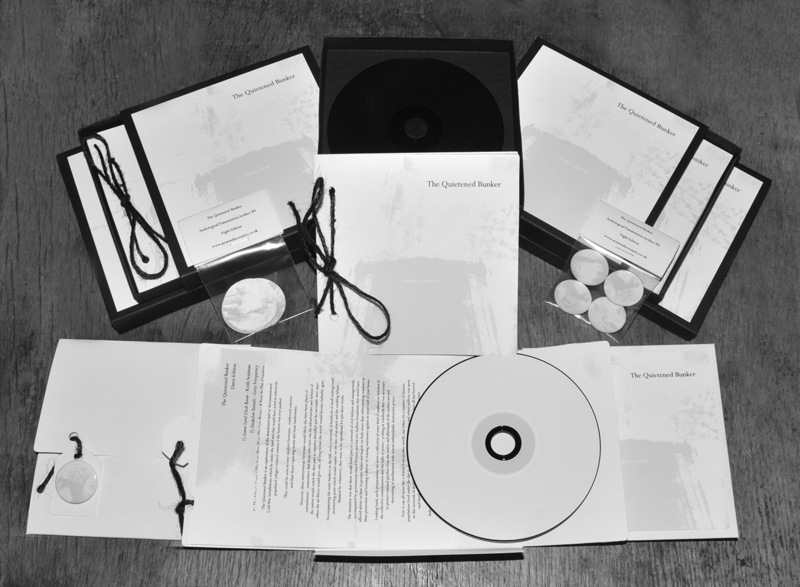 Audiological contents created by Keith Seatman, Grey Frequency, A Year In The Country, Panabrite, Polypores, Listening Center, Time Attendant, Unknown Heretic and David Colohan. Released today, 15th August 2016. Night Edition. 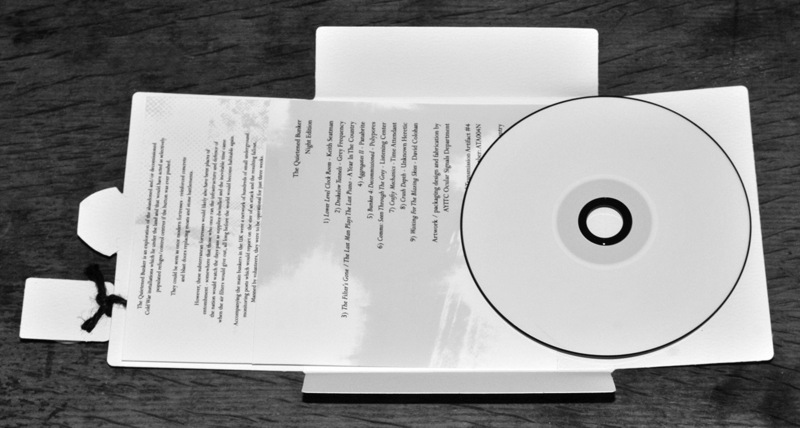 Limited to 52 copies. £25.00. 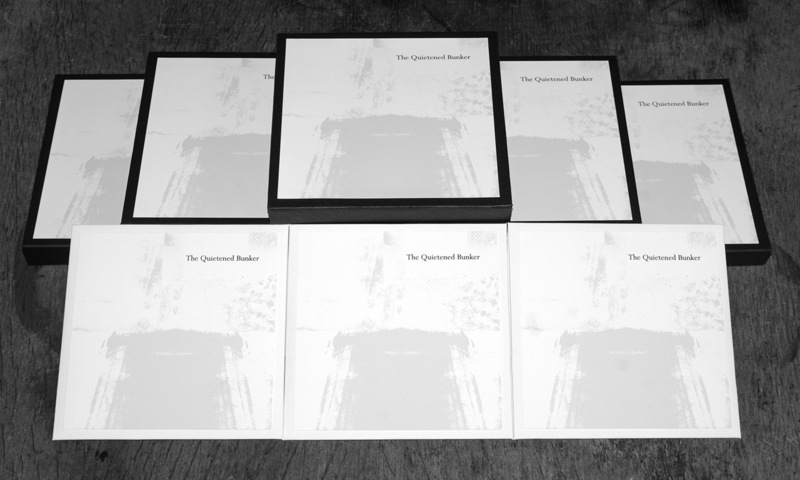 Hand-finished box-set contains: album on 1 x all black CDr, 12 page string bound booklet, 4 x badge pack, 4 x sticker pack & landscape format sticker. 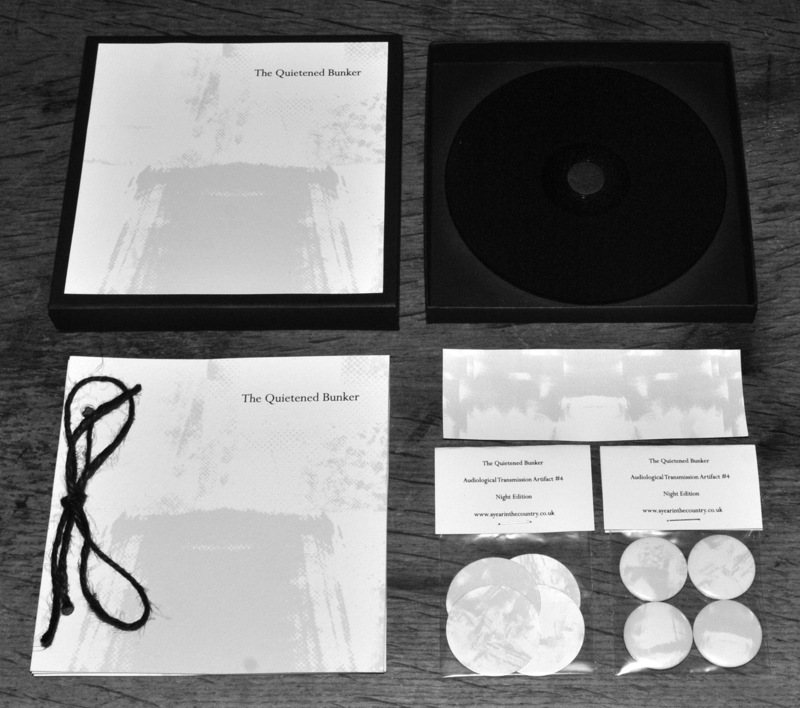 6) 4 x vinyl style sticker pack, contained in a see-through polythene bag with a folded card header. 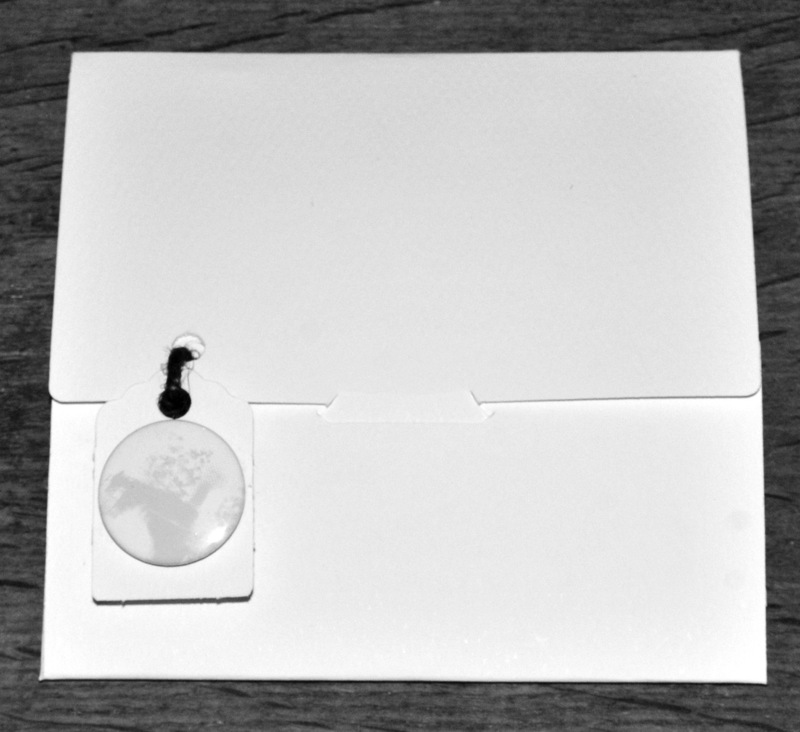 7) 1 x vinyl style landscape format sticker. 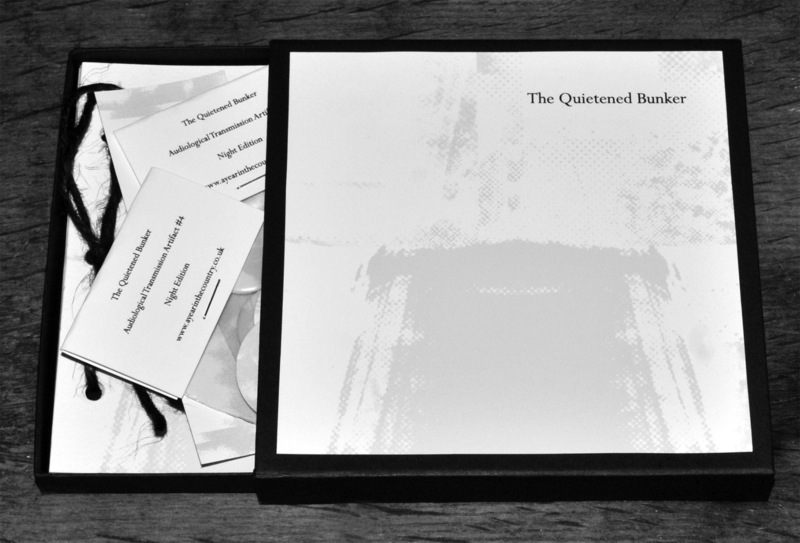 Hand-finished 1 x white/black CDr album in textured recycled fold out sleeve with inserts and badge. 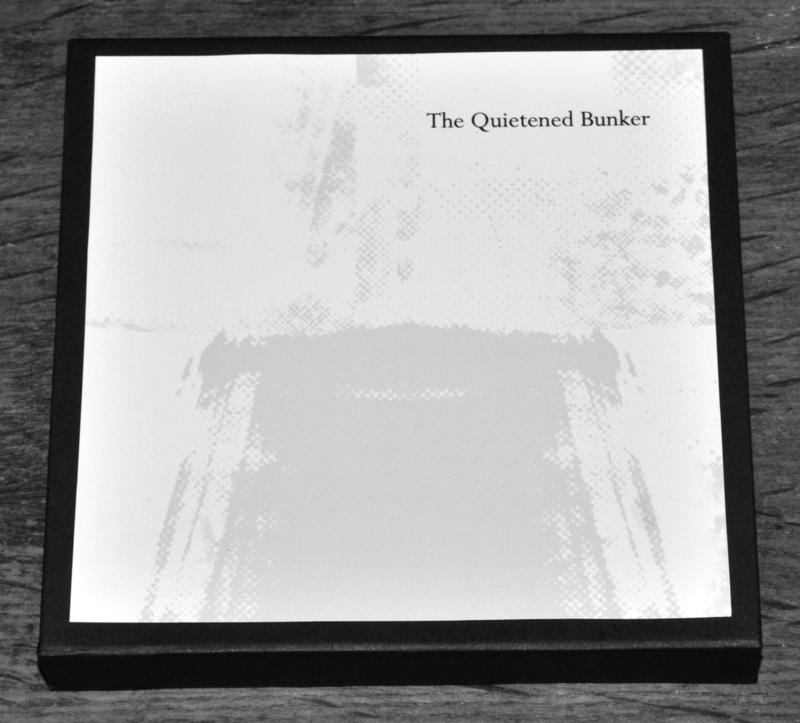 The Quietened Bunker is an exploration of the abandoned and/or decommissioned Cold War installations which lie under the land and that would have acted as selectively populated refuges/control centres if the button was ever pushed. They could be seen as once modern fortresses – reinforced concrete and blast doors replacing moats and stone battlements. However, these subterranean fortresses would likely also have been places of entombment – somewhere that those who once ran the infrastructure and defence of the nation would watch the days pass as supplies dwindled and the inevitable time came when the air filters would give out, all long before the world would become habitable again. Accompanying the main bunkers in the UK were a network of hundreds of small underground monitoring posts which would report on the size of an attack and the resulting fallout. Manned by volunteers, they were to be operational for just three weeks. The intention was that these would form part of a network of civil defence and management, accompanied by government issued Protect and Survive leaflets/broadcasts that would have offered advice on how to protect home and hearth via little more than whitewashing windows as blast protection and forming a shelter by leaning mattresses against an inner wall of your house. 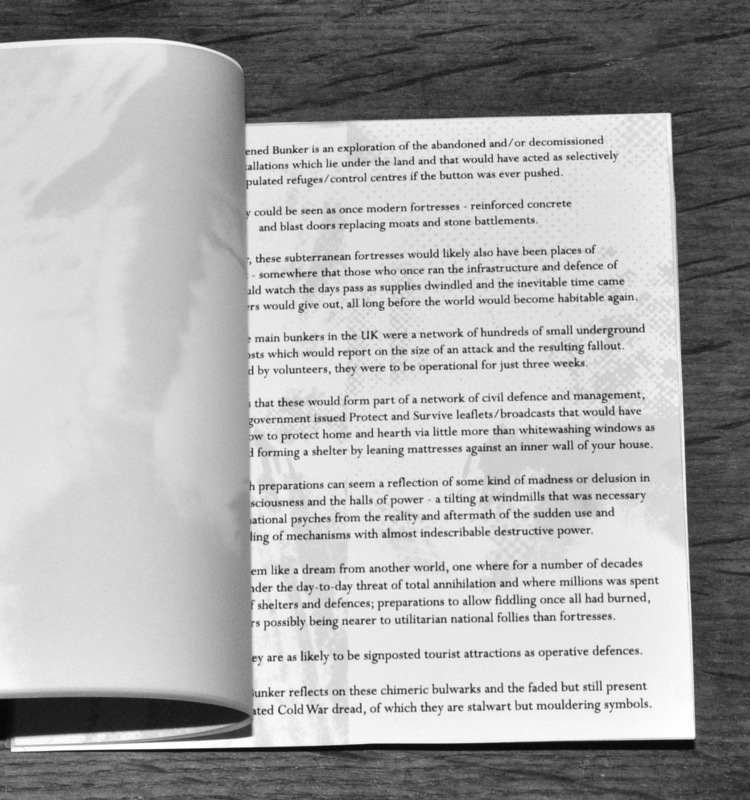 Looking back, such preparations can seem a reflection of some kind of madness or delusion in the collective consciousness and the halls of power – a tilting at windmills that was necessary to protect national psyches from the reality and aftermath of the sudden use and descending of mechanisms with almost indescribable destructive power. Now it can all seem like a dream from another world, one where for a number of decades populations lived under the day-to-day threat of total annihilation and where millions was spent on this network of shelters and defences; preparations to allow fiddling once all had burned, such bunkers possibly being nearer to utilitarian national follies than fortresses. Indeed, today they are as likely to be signposted tourist attractions as operative defences. 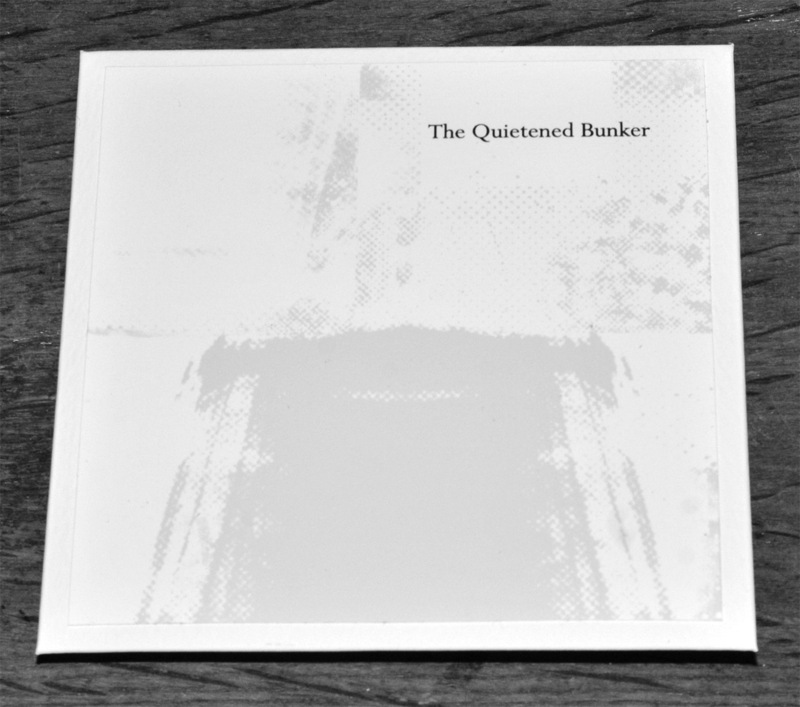 The Quietened Bunker reflects on these chimeric bulwarks and the faded but still present memory of associated Cold War dread, of which they are stalwart, mouldering symbols.